Elegant full strip stapler that combines Press Less™, the innovative power reduction technology, and the patented SuperFlatClinch™ Technology which flattens staples 40% more than standard stapling. 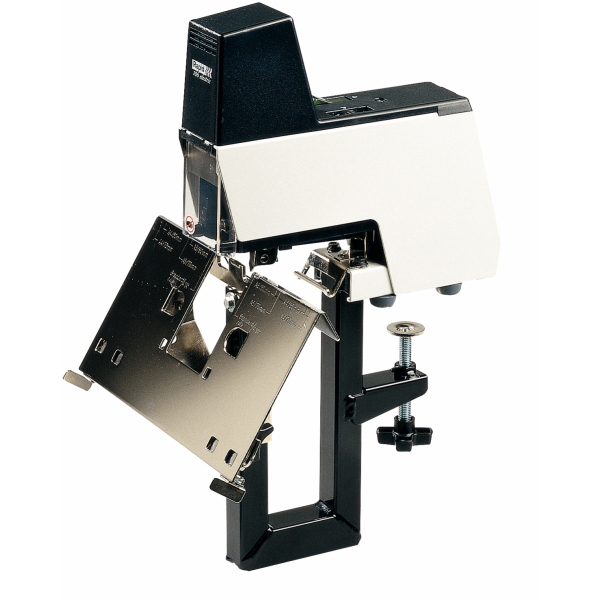 Design coordinated with the SP30 Press Less™ hole punch. Powerful all steel front loaded heavy duty stapler. Part of the Coordinated Power Range. 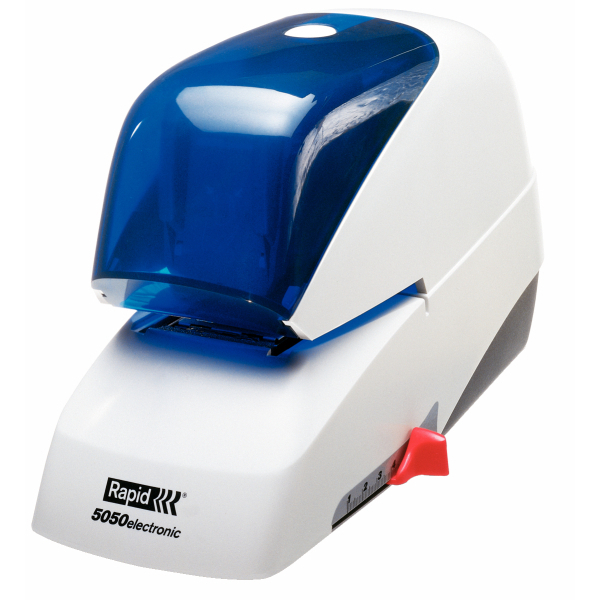 Full-strip compact electric stapler with front loading. Fits in well by the copying machine in the office. 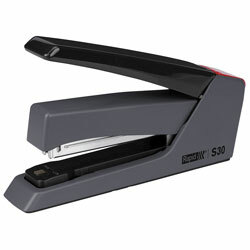 5050e gives trouble-free stapling. Patented stapling cassette staples 5,0000 times without reloading and regardless of number of sheets. Constructed for 500,000 stapling operations. 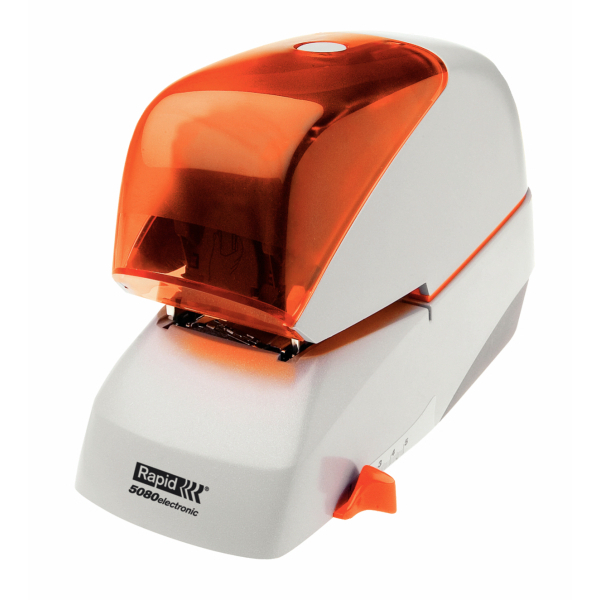 Stapler Electric Rapid R5080E Trouble free stapling due to patented Cassette Stapling Technology which staples 5,000 times without reloading and regardless of number of sheets. Constructed for 500,000 stapling operations. 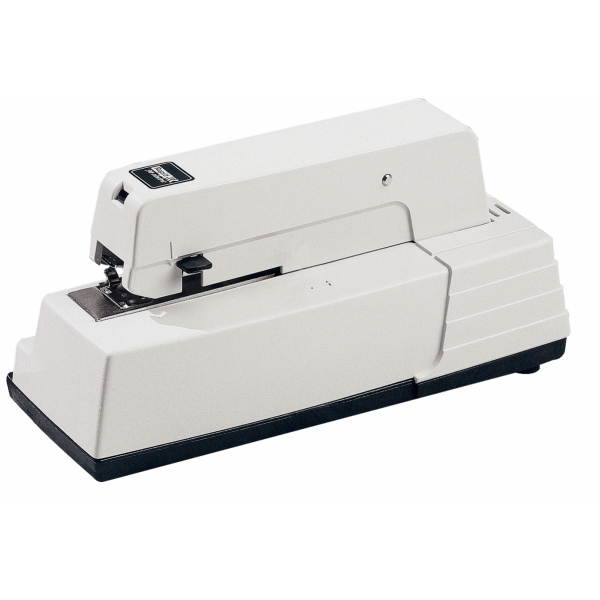 Stapler Electric Rapid 105E Fast stapler with slim design for added versatility. Equipped with the power, reliability and versatility demanded by industrial users. Two or more staplers can be linked for simultaneous multi-stapling. 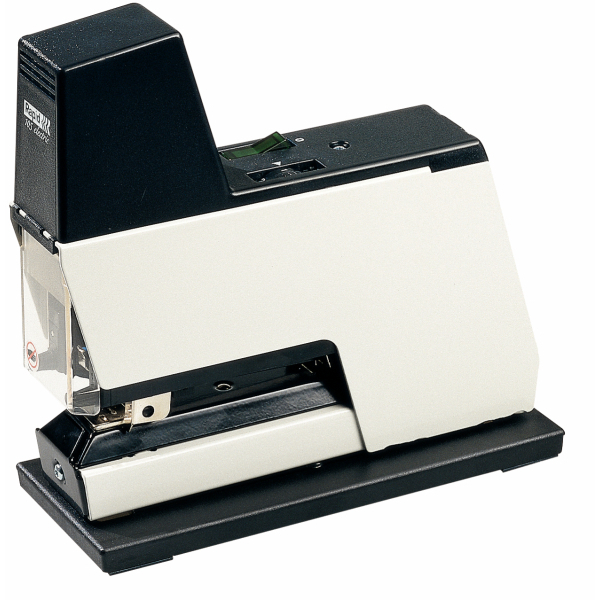 2 staplers in 1 with the same functions as 105E. 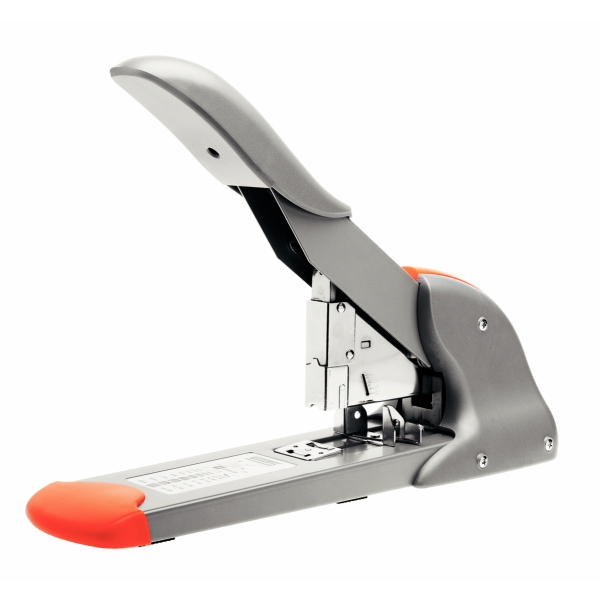 Equipped with nterchangeable insert staplers, the Rapid 106E can handle both flat/saddle stapling and loop stapling (accessories). Produced for work places where sheets and brochures are to be stapled. Delivered with wide worktable and pedal. Serial mounting via opto cables for greater production capacity Optional extras: Narrow work table, saddle staple rail, stapling head for loop stapling, opto cables.